This set of Japense-made teacups from Mrs. Lin’s Kitchen celebrates the cherry blossoms that bloom every spring in Japan. Pink blossoms—known individually as sakura— spring from the south of the country to the north every year. Each of these teacups can hold 5 ounces of liquid, perfect for sipping Japanese green tea or for use in your own Japanese tea ceremony. Cherry blossom viewing—aka Hanami—is very important to Japanese culture. 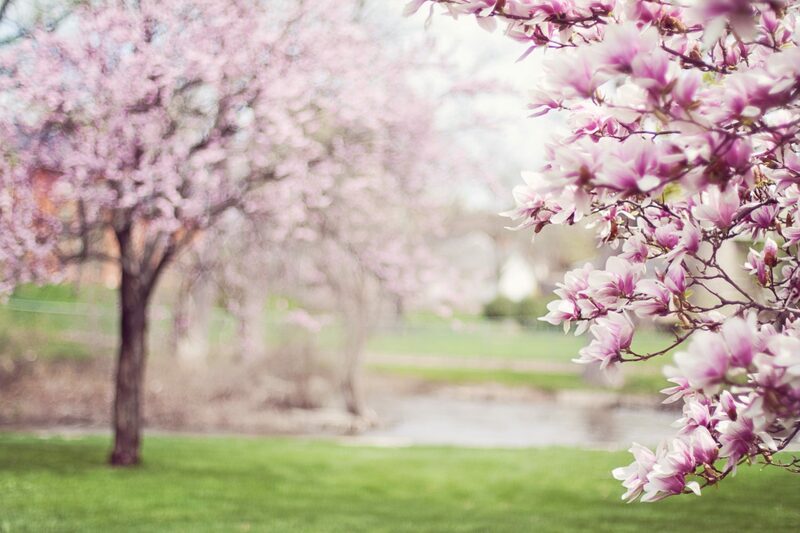 Every spring, you’ll see many people taking a break from their hectic lives to enjoy a picnic under these trees. 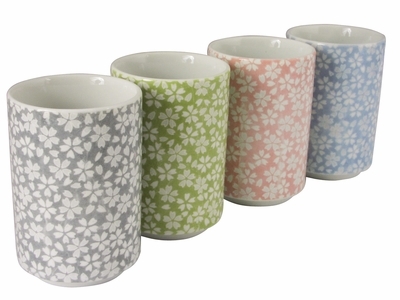 Because the blossoms only last a short while, hanami is seen as a metaphor for the “ephemeral beauty of living.” With that in mind, fill these cherry blossom cups with you favorite tea and take a break from your hectic life to appreciate the beauty of life. 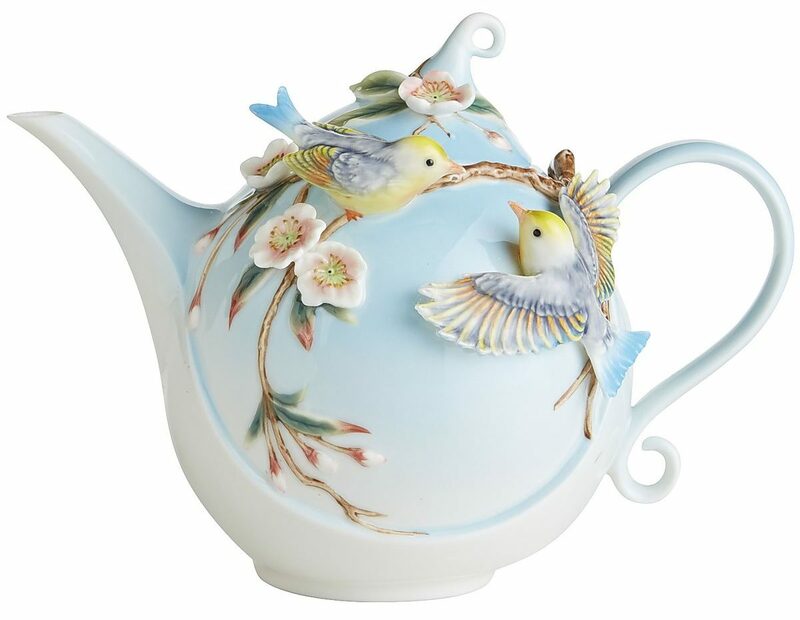 This teapot from Pier 1 includes two 3-D birds to celebrate the spring migration of birds in North America. According to The National Wildlife Federation, some birds begin moving north as early as February, and most have migrated by early June. Songbirds that spent the winter in the tropics typically migrate in April and May, so keep your ears peeled. This hand-painted, porcelain teapot holds 44 ounces and is perfect for the birdwatcher in your life. “April showers bring May flowers.” If you’re stuck in the “showers” part of that adage, these adorable silicone umbrella infusers are perfect for you. 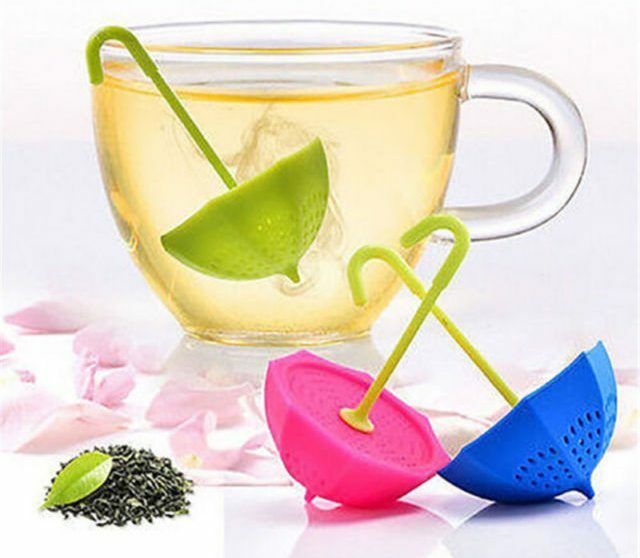 The umbrella hooks right onto your teacup, they’re dishwasher safe, and they’re yours for only 99 cents! This teacup, saucer, and spoon from Bloomingdales Franz Collection brings Vincent Van Gogh’s 1890 painting “Almond Blossoms” right into your kitchen. 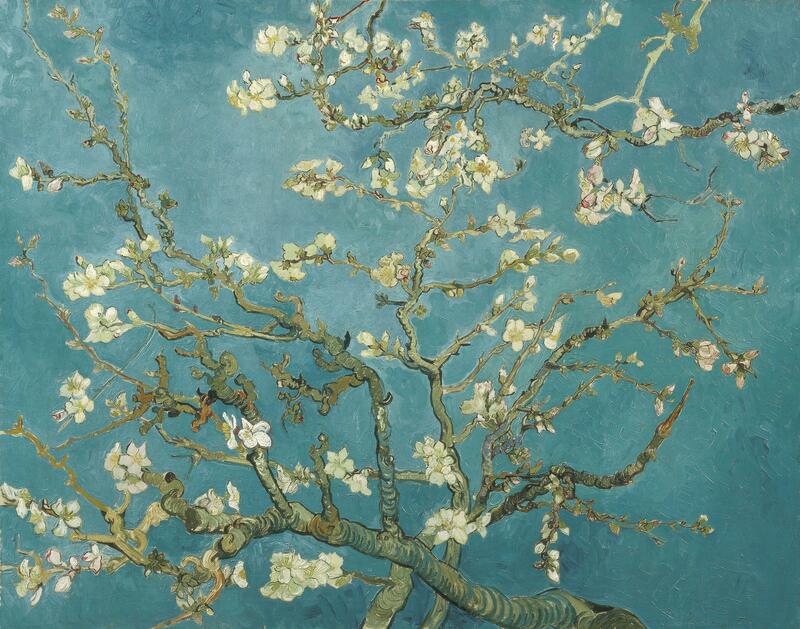 According to the Van Gogh Museum, because almond trees bloom in the early spring, they’re a symbol of rebirth. Inspired by Japanese printmaking, Van Gogh painted this piece as a gift for his brother to congratulate him on the birth of his son. This romantic teacup and accompanying saucer and spoon is a great gift for the mom or dad-to-be in your life, or for any tea lover who could use a beautiful teacup to remind her of the joys that spring brings. 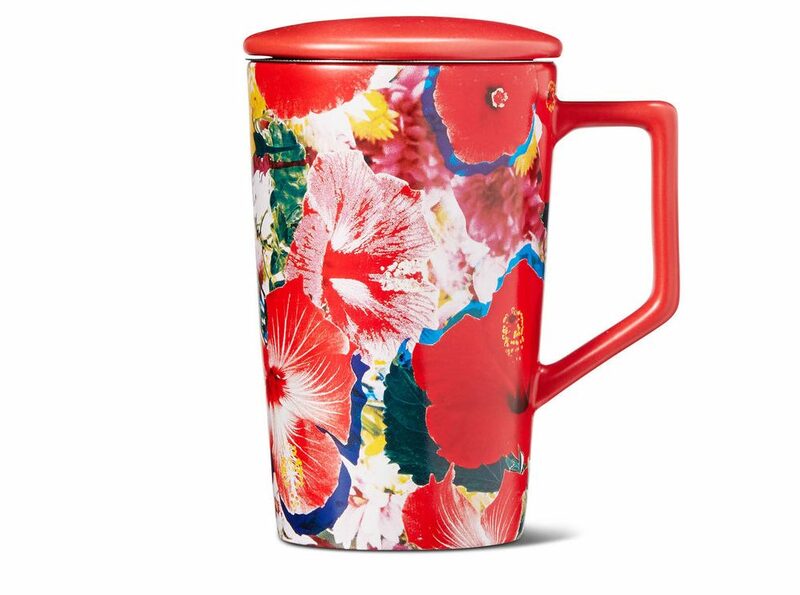 This striking mug from Teavana screams spring with its bold floral pattern that will catch the eye and have you sipping in style. 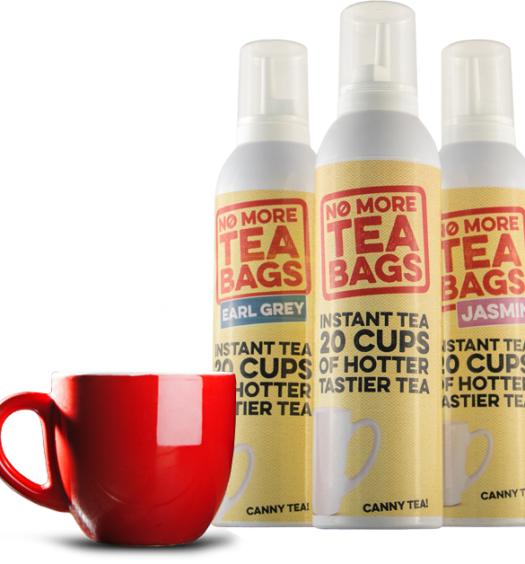 It comes with a removable stainless steel infuser basket if you’re in the mood for loose leaf on the go and a lid that can pull double duty as a coaster once you’ve reached your destination. Versatile, dishwasher safe, and fashionable, this mug is a triple threat. 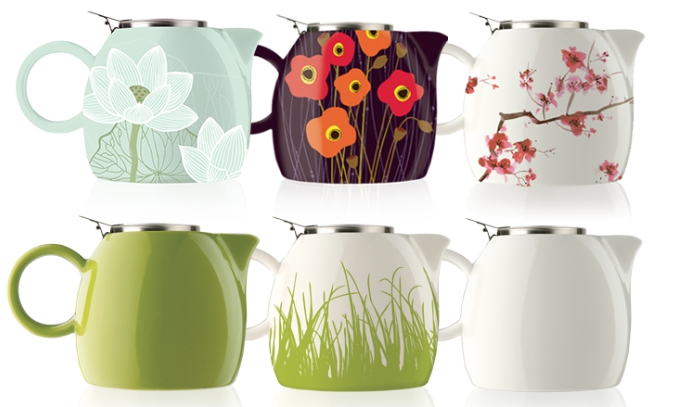 These teapots from Tea Forte come in the perfect spring patterns. From solid pistachio or orchid white to spring blades of grass, cherry blossom, poppy fields, or a lotus, these designs perfectly capture the beauty of spring. Each holds 24 ounces, can go in the dishwasher, and includes a stainless steel infusing basket.